Hello Design Diary readers! It’s Sarah with Lace & Pine Designs. 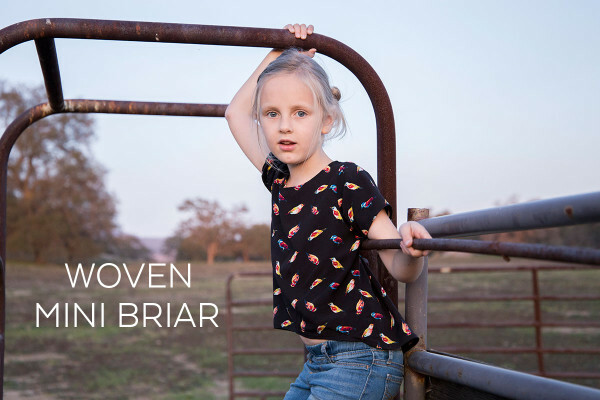 Today I will be showing you how to take the Mini Briar pattern and sew it up using a woven fabric, instead of the knit the pattern calls for. This patterns silhoette is great for a woven. It has a decent amount of ease at the chest, so you don’t need to add any to the width. If your girl’s measurements run between sizes, I recommend sizing up, otherwise just sew up the recommended size. Another thing to consider is the type of woven. Because of the high/low hem, I recommend a woven with a good amount of drape. I chose to sew up my version in this rayon, but a chiffon, silk, or poly blend are all options. Just be aware how the fabric hangs. Something too stiff (like quilting cotton) will not compliment the pattern as well. 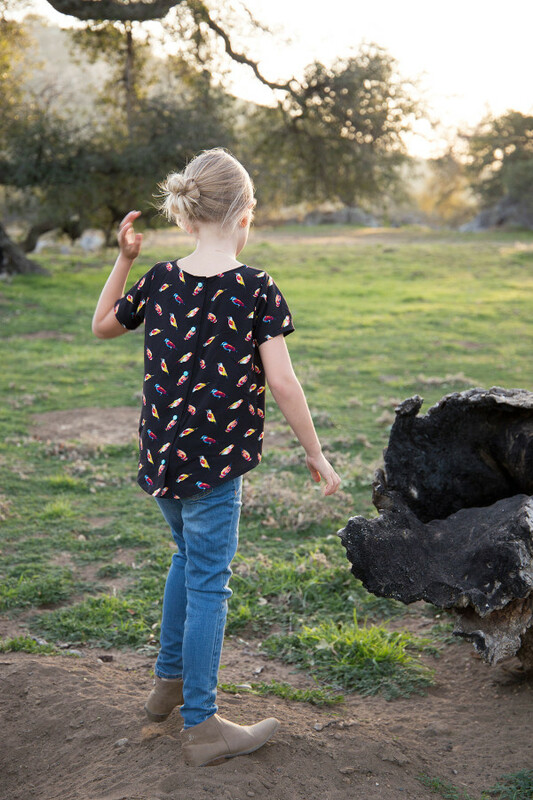 The only alterations you will need to sew up this version of the Mini Briar is to add a button placket in the back and create bias binding for the neckline. 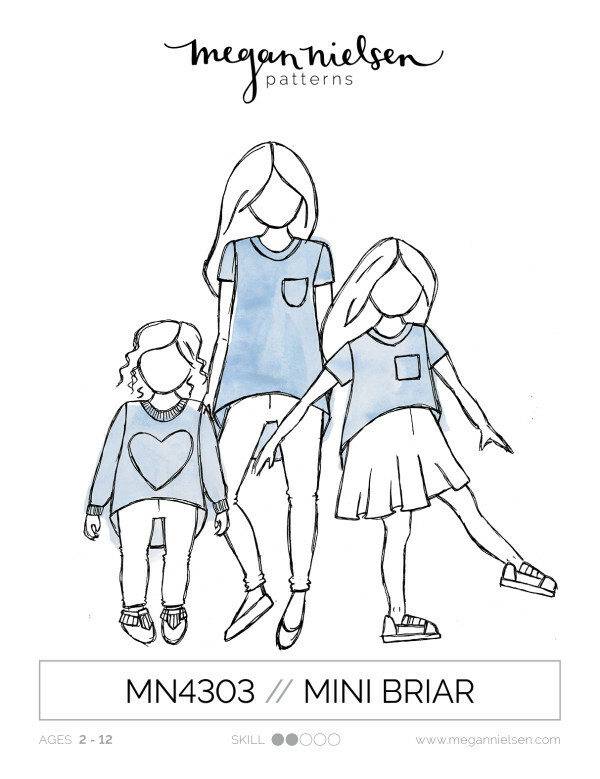 Although, really you could sew up the pattern without a button placket, since the neckline will end up being larger than the original version of the Mini Briar. My daughter can fit this over her head without undoing any buttons. You’ll also need to fold up the hems twice instead of the just one fold for knits. So, let’s get started! Fabric for Mini Briar (you may need extra for the bias binding and button plackets) I used 1 yard for a size 4/5 with extended length. 3/8″ Buttons for back placket (5-7 depending on size) I recommend not using anything that is too bulky. Go ahead and cut out your desired size pattern pieces. Omit the neck bindings. With the original pattern, the neck bindings add a 1/2″ to the neckline. The way I have done this Mini Briar, the bias tape is folded back to the wrong side of the garment with a 1/2″ seam allowance. 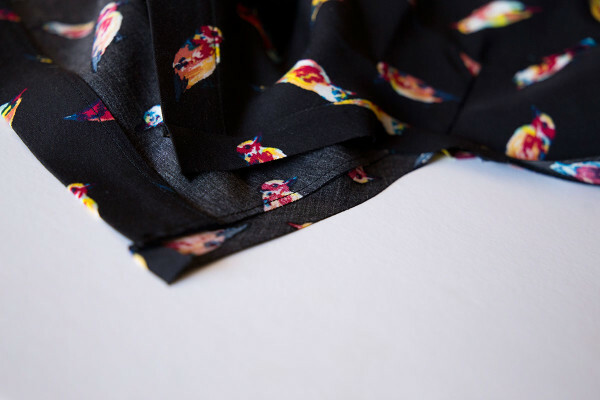 Therefore, the neckline is 1/2″ bigger all around as opposed to getting smaller after adding the binding. 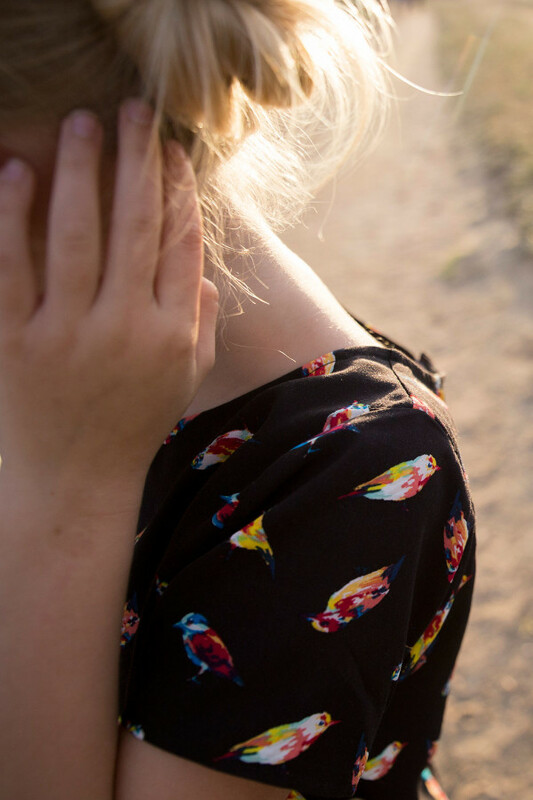 This creates a wider scooped neckline. If you prefer for the neckline to be closer to the neck, just go ahead and add to your front and back bodice patterns before cutting out your material. The back pattern piece will be used as is, but it will be cut in two separate pieces, not on the fold. 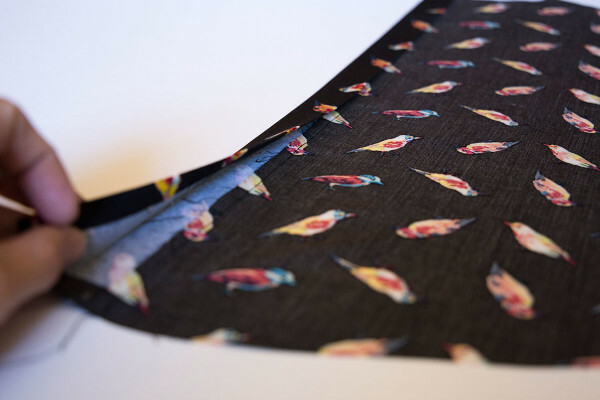 Since the finished button placket will be exactly 1″ wide and the seam allowance we will use on the button placket will be 1/2″, if you want to do pattern matching, simply the cut the back on the fold and then cut straight down the fold line, creating two pieces. You should have 2 sleeve pieces, 2 mirrored back pieces and 1 front piece at this point. 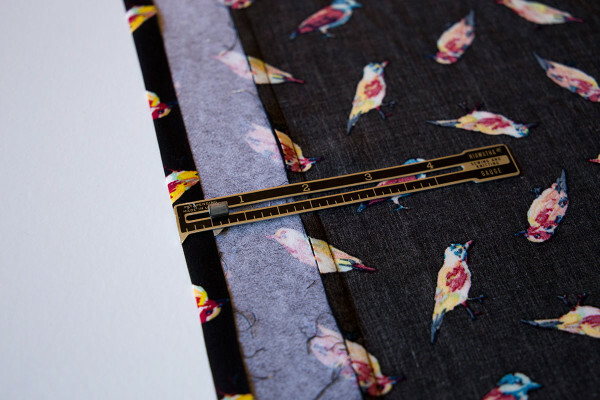 Step 1: Regardless of size, the button placket pattern pieces will be 3″ wide. The length will depend on the size you are sewing up. Measure the length along the inner edge of the back pattern piece (where the fold line was). This will be the exact length of the button placket pieces. 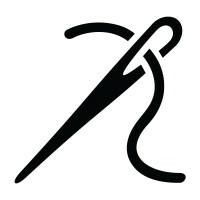 Use a rotary cutter to cut two rectangles 3″ wide by the length you measured on your fabric. Step 2: Cut two rectangles of the fusible interfacing 2″ wide by 1″ shorter than the length of your button placket piece. Step 3: Iron the fusible interfacing on the wrong sides of the button placket pieces, centering it. Step 1: Right sides together, place the button placket on top of one of the back pieces lining up the edge of the button placket to the inner edge of the back piece. 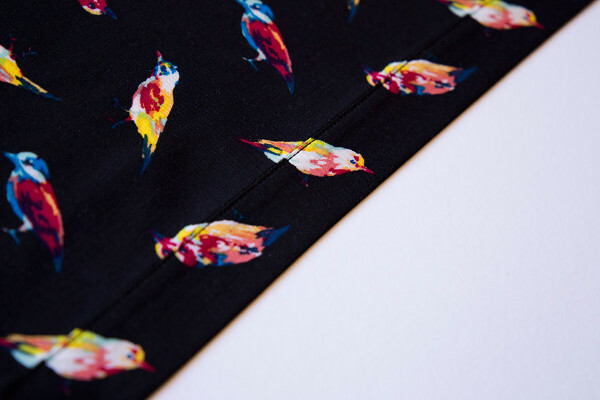 Sew a 1/2″ seam. Step 2: Press placket away from the back piece, making sure the seam allowance is pushed toward the button placket. Trim the seam allowances down to 1/4″. Step 3: Fold and press the long raw edge of the button placket toward the wrong side by 1/2″. Step 4: Fold the button placket in half towards the wrong side. 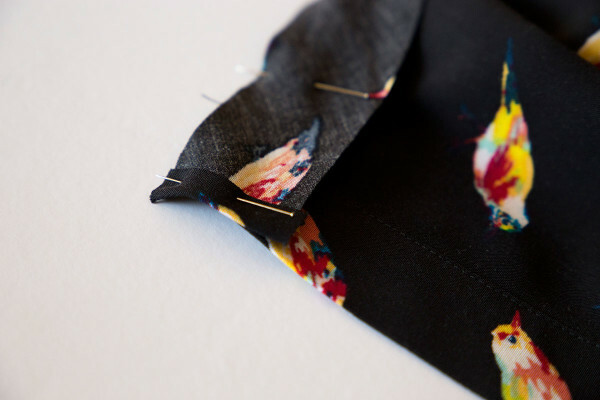 Pin the folded edge of the button placket along the stitch line. Edge stitch on the front side about 1/16″ from the seam line on the placket, enclosing the seam allowances inside of the button placket. Step 5: Repeat Steps 1-4 for the other back side. 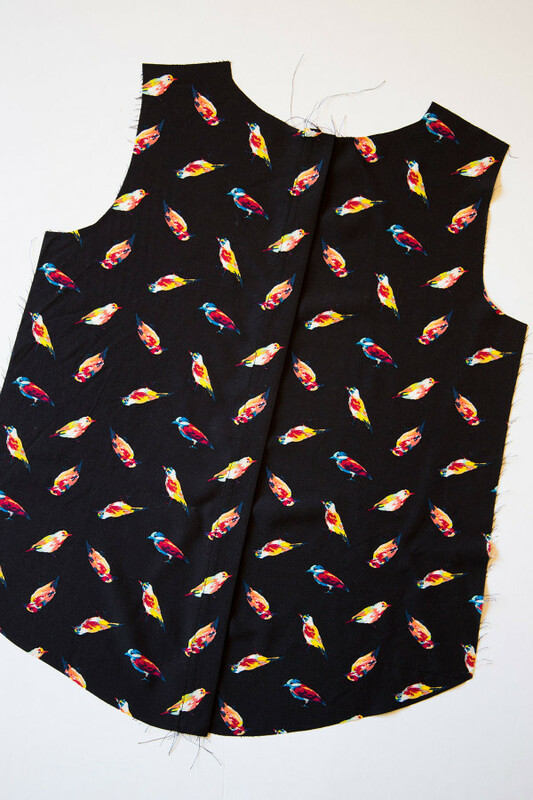 You now will have 2 back pieces with 1″ wide button plackets. 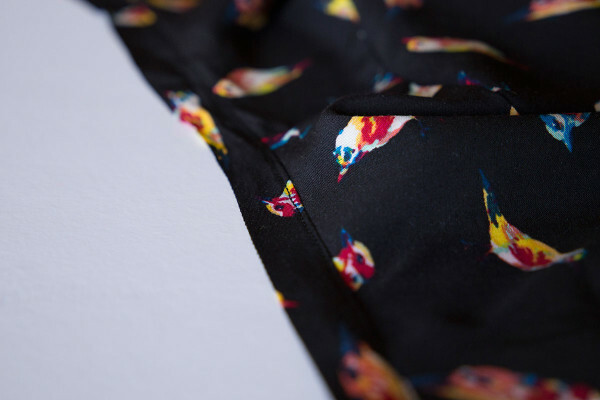 Step 6: Continue to sew together your Mini Briar following the patterns directions, leaving the neckline and hems alone. 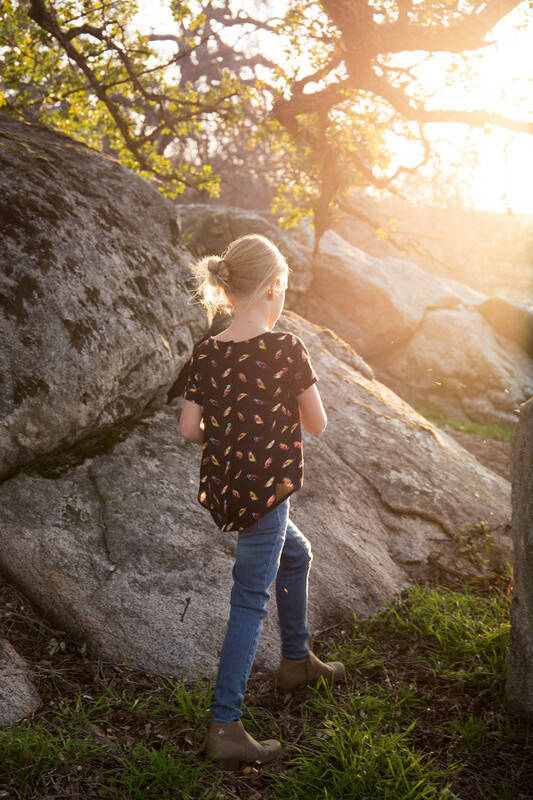 Before you sew along the length of the sleeves and side seam, fold the sleeves hem 1/4″ towards the wrong side, press, and then another 1/4″ and press. Sew along the sleeves and side seam with the sleeve hem unfolded. 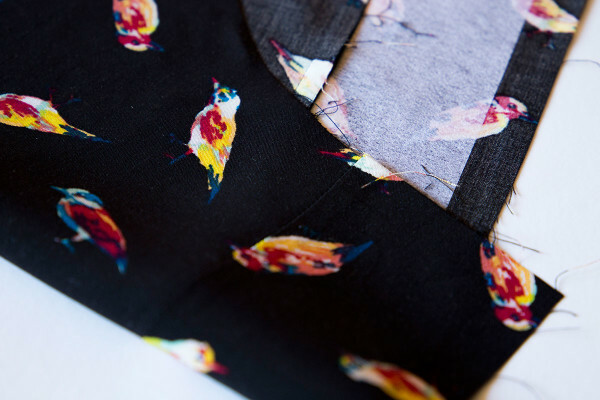 The pressed folds will make it easier to hem your sleeves later. Step 7: Once your Mini Briar is put together, minus the neckline and hems, you are ready to bind the neckline. Cut your bias tape for the neckline. It should be 1 1/8″ wide by about 28″ long. Measure your neckline to figure out how much bias tape you will need. Better to have a little extra than not enough. 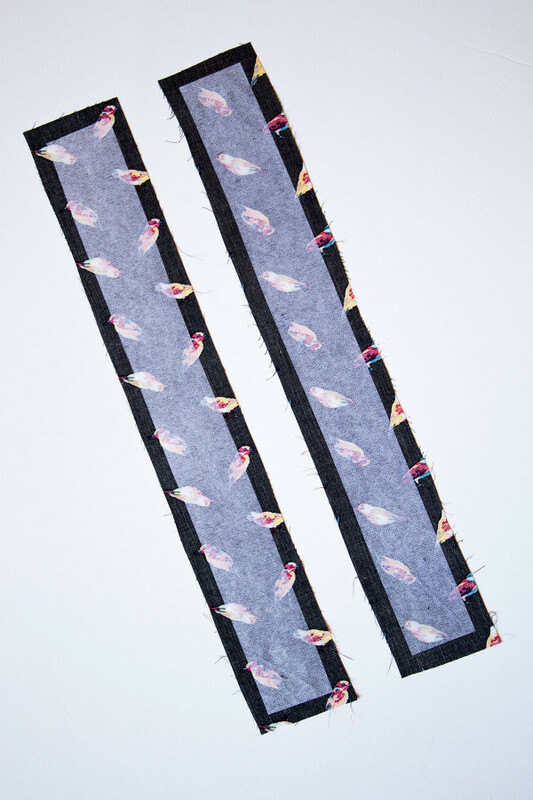 Make sure the ends of the bias tape are cut perpendicular to the length of the tape. Fold one short edge 1/4″ towards the wrong side and press. 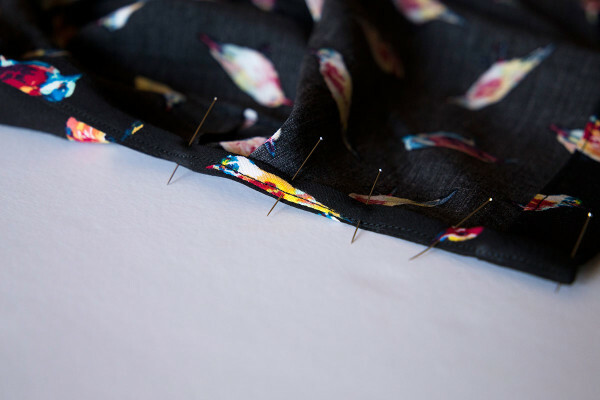 Step 8: Pin your neckline bias tape to the neckline, right sides together, starting with the folded edge of the bias tape lined up to the edge of one of the button plackets. 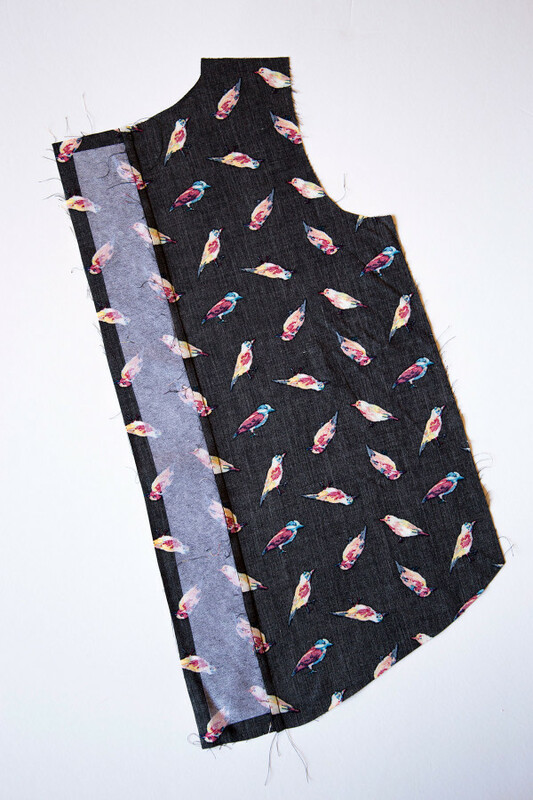 When you get to the other side, trim the bias tape 1/4″ past the button placket and fold and press the tape under matching the edge to the edge of the other button placket. 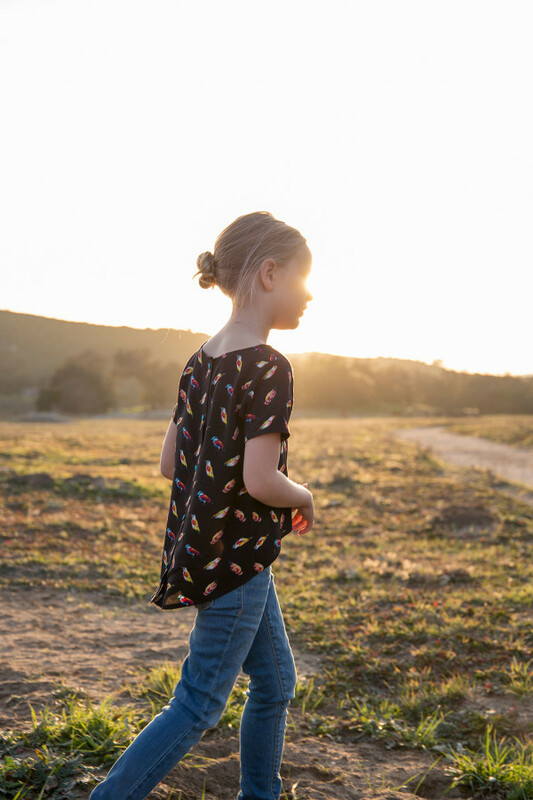 Sew a 1/2″ seam allowance, being cautious not to sew any gathers in your main shirt material. 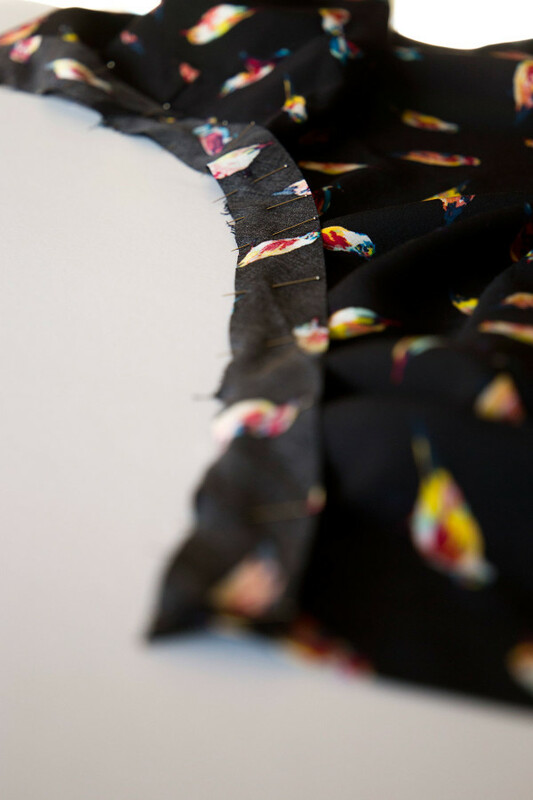 Step 9: Trim your neckline seam allowance down to no more than 1/4″. 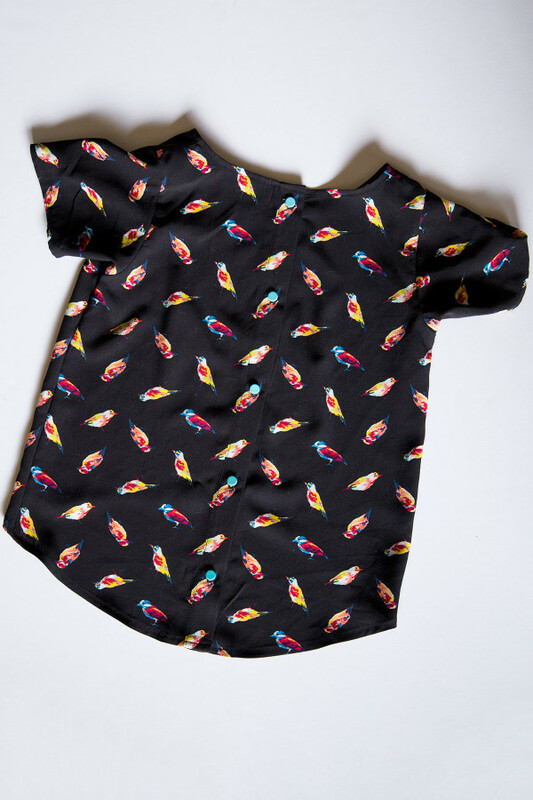 Then, cut notches about every 1/2″ along the curved neckline making sure not to cut into the sewn line. 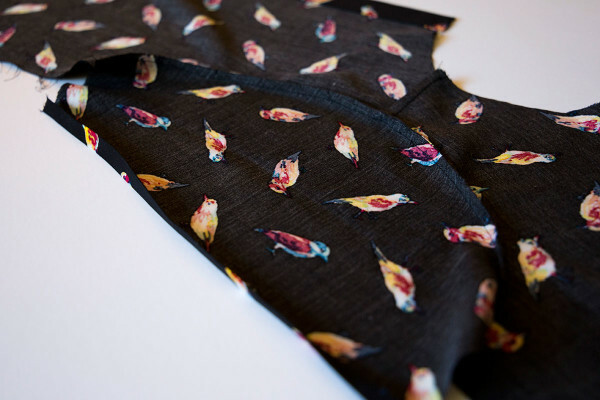 Iron the bias tape away from the shirt, pushing the seam allowance up towards the bias tape. Step 10: Edge stitch on the front on top of the bias tape, catching the seam allowance. 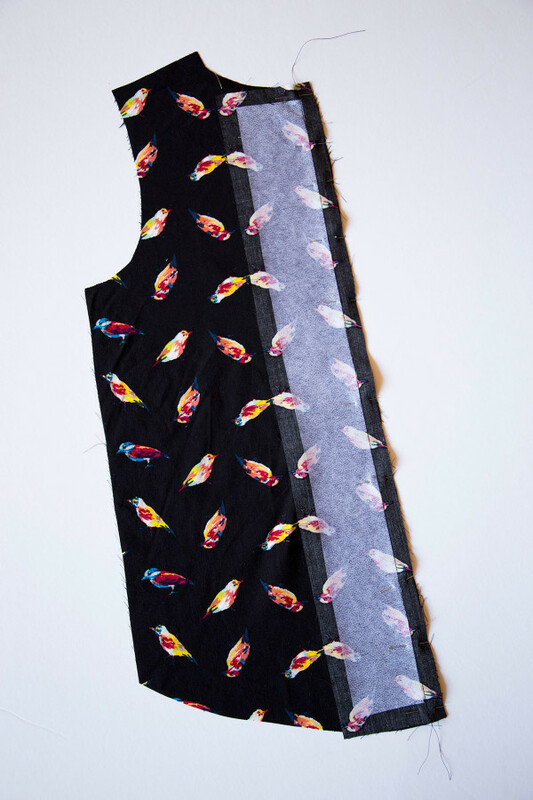 Sew about 1/16″ close to the seam line. 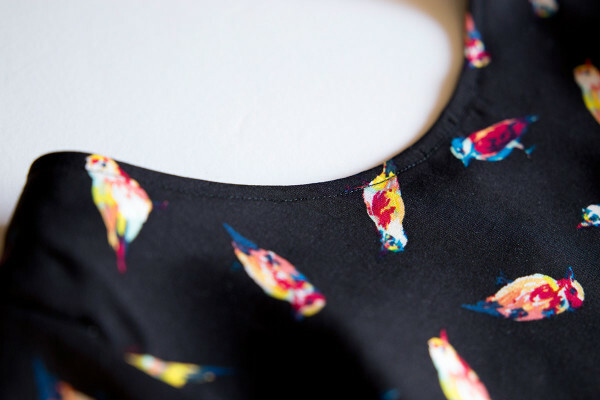 This step will ensure your bias binding does not roll out from inside your neckline. Step 11: Fold the raw edge of the bias tape toward the wrong side of the top, lining up to the first sewn line. Then fold again at the seam line and pin. Moving your way all around the neckline. Make sure the the bias tape is completely on the underside of the top, so it is not popping out on your finished garment. 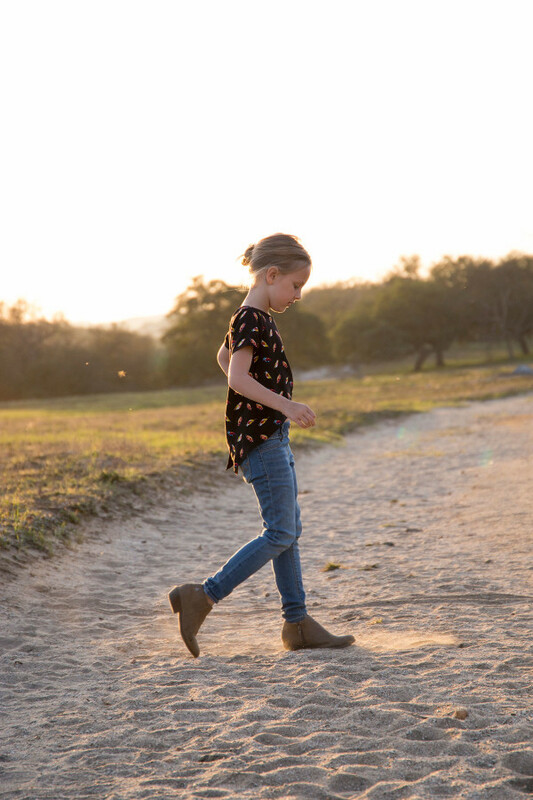 The edgestitching you did in Step 10 should make this easier. Step 12: From the wrong side of the top, sew an edge stitch along the inner edge of the folded bias tape. Your neckline is finished! Step 13: Finish the sleeve hems and the shirt hemline by folding 1/4″ to the wrongside, press, and then another 1/4″ and press. 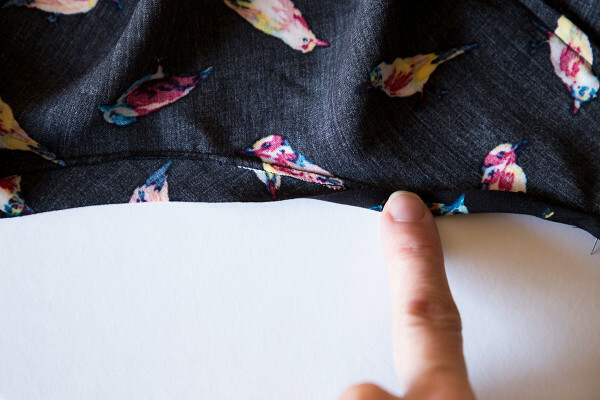 Your sleeves should already be pressed and ready from step 6 above. Edge stitch near the folded edge. Step 14: The last step is to add the button holes and buttons to the plackets. The top button is just 1/2″ below the top of the placket. 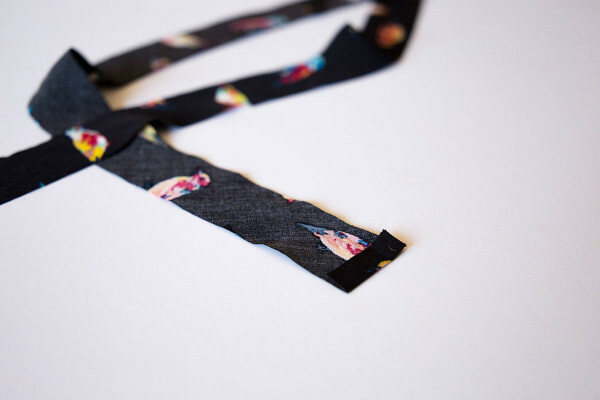 From there evenly distribute your buttonholes. And, you are all done! I’m extremely happy with how this top turned out and think I may just have to try doing a version for myself with the Women’s Briar pattern. Please let me know if you have any questions with the steps! Choosing a black print made things a bit more challenging to photograph sometimes, but I hope that the photographs for the steps are clear to you all. Feel free to introduce yourself to me over on my blog Lace & Pine Designs or my Instagram @laceandpine. I live in a small town and I really love making new sewing friends that enjoy it as much as I do. This is lovely! Here’s hoping you share any changes you make to the regular Briar for women to add a placket and make one for yourself from woven fabric. I can’t wait to do this on the adult version. The lightweight woven lays beautiful with this pattern.